Lanzhou Binhe Park is situated along the south bank of the Huang River. It is more than 20 kilometers long. The park was built on the Binhe Road. From the east to the west, you will see Yantan Park, Gansu Provincial Painting and Calligraphy Academy, Children's Park, Zhongshan Bridge and White Cloud Temple. 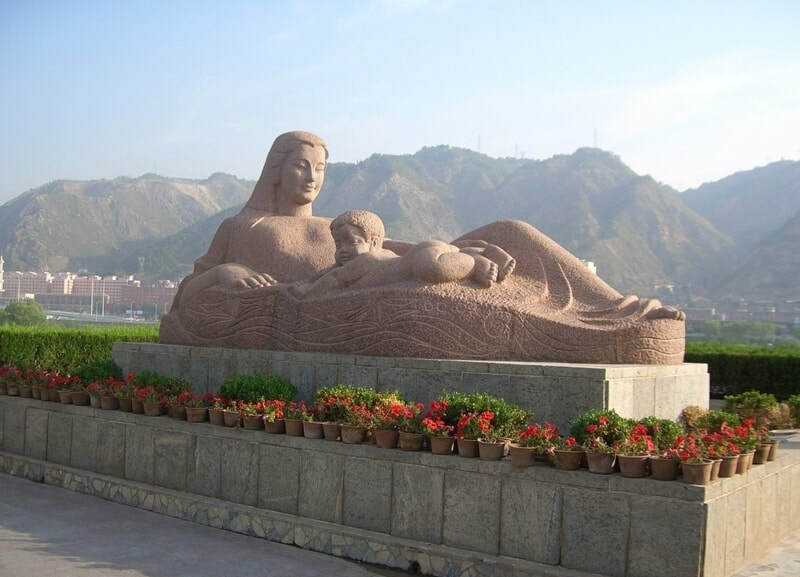 Along the Binhe Road, you can enjoy the unique beauty of the Yellow River and visit the beautiful sculptures such as Pingsha Luoyan, Bolang, Silk Road, Yellow River Mother, Journey to the West, etc. In addition, the Binhe Road reaches Lanzhou Zhongshan Bridge, Baitashan Park where the White Pagoda stands and you can enjoy the greens, Waterwheel Park and other attractions. If you are tired, you can take a rest at one of the pavilions along the Yellow River. During the peak season, you will see the sheepskin rafts on the Yellow River. If interested, you can take a raft to cross the Yellow River. If you like thrilling activities, you can try rafting on the Yellow River during the peak season. If you are planning to visit Lanzhou Binhe Park for photography purposes, the best time to visit is in the evening. As White Pagoda Mountain is located along the Binhe Road, you can take a bus to the mountain. Then, walk along the road. There are several buses passing by the mountain. Therefore, there are several options. Take Bus 20, 35, 53, 100 and Bus 131 to the Stop of Baitashan Park (白塔山公园站). Take Bus 9, 11, 15, 26, 34 and Bus 136 to the Stop of Huanghe Tieqiao (黄河铁桥站). As the Binhe Road is by the Yellow River, please take care of yourself and your kids while you are walking along the road. You are not allowed to ride a bike at the park. Please take body lotion, lip balm, and hand cream as it is always dry in Lanzhou. Interested in visiting the Lanzhou Binhe Park on a Tour? Wendy Wei Tours offers a variety of different packaged tours as well as custom tours including the Lanzhou Binhe Park, among other attractions and destinations. To find out more, please visit our Tours page or Contact Us directly to find out more.